Pole tents are used on surfaces that can be directly staked into the ground, such as grass, gravel, and sometimes asphalt. The pole tent has poles down the middle of the tent to support the weight of the tent, with shorter poles around the perimeter of the tent. It is secured on the exteriors by ropes, tied to stakes that are driven into the ground around the outside of the tent. Pole tents are more economical in that you get more space for your money. 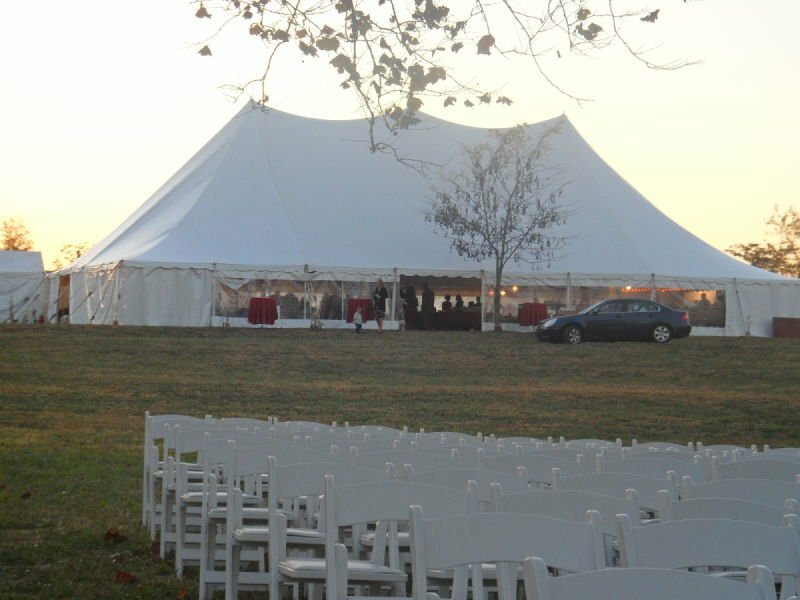 Most weddings, graduations and outdoor parties utilize a pole tent. Click here for sizes and capacity details for pole tents, or click here for pole tent photos.